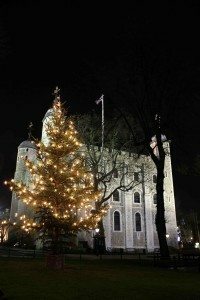 December is the time for unashamed jollity and this month there’s so much going on in the town of London I hardly know where to start. Everywhere sparkles, not least the famous West End Christmas lights. This year New Bond Street in particular, has outdone itself. 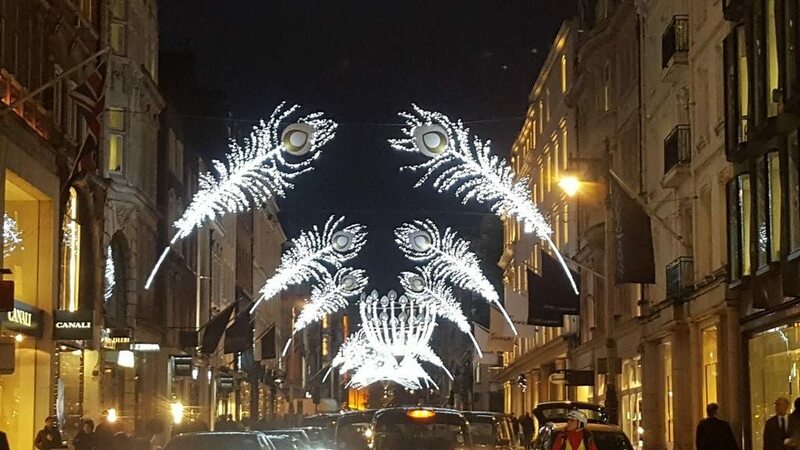 Giant white peacock plumes arch across the road, lighting a massive chandelier at the Oxford Street end. This time of year, the great historic palaces go for broke. It’s a good time to visit the Tower of London, whose medieval apartments will be decked out as they would have been in ye olden dayes. You can join kings, queens, knights and ladies, as they’re entertained by jesters and minstrels with tumbling and tales of knightly derring-do, all part of the usual palace ticket price. 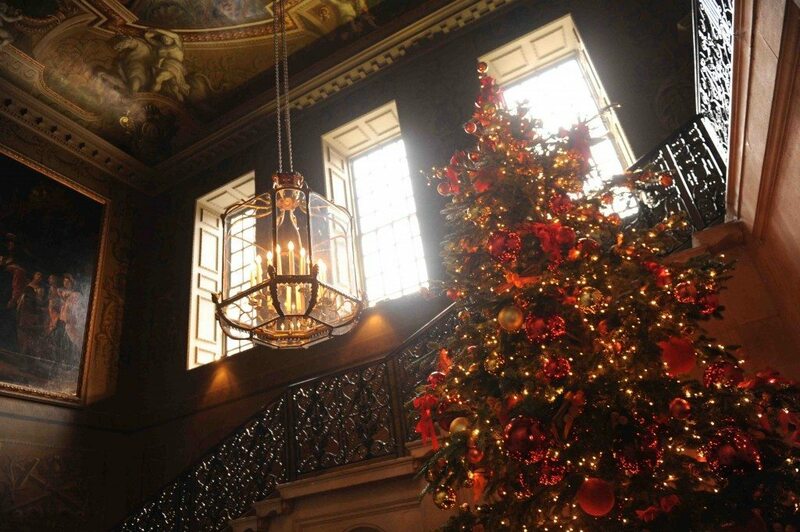 At Hampton Court, this exceptional, 500th anniversary year is rounded off by Queen Elizabeth I’s Christmas celebrations. You’ll need a whole day to visit–I have been known to turn up as the gates open and leave as they close, there’s so much to see over the Christmas period. The queen and her ladies make merry around the yule log in the great hall, playing games whilst being serenaded by musicians. In the corridors courtiers whisper while, in the kitchens below, servants make Christmas pye and wassail cups, and turn the spit over the great fire. You can taste the roasted meat later in the café. It’s always cold at the palace (except around that fire! ), so do dress up warm. In the 18th-Century area of the palace you can warm up with a cup of historic hot chocolate from Thomas Tosier, chocolate maker to King George I or, if you’re feeling brave, take a turn on the ice rink outside. Hampton Court is 25 minutes away from Waterloo Station and the palace is just across the bridge over the river. 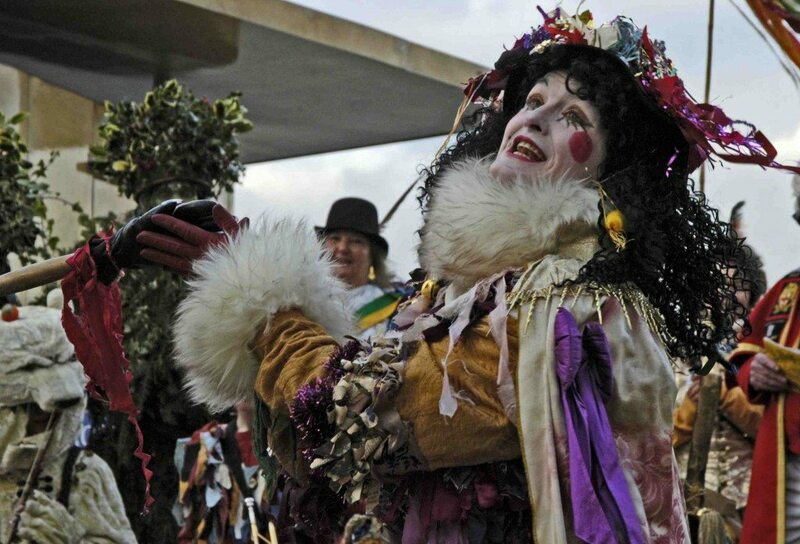 Elizabethan Christmas runs between 27th December 2015 and 3rd January 2106. 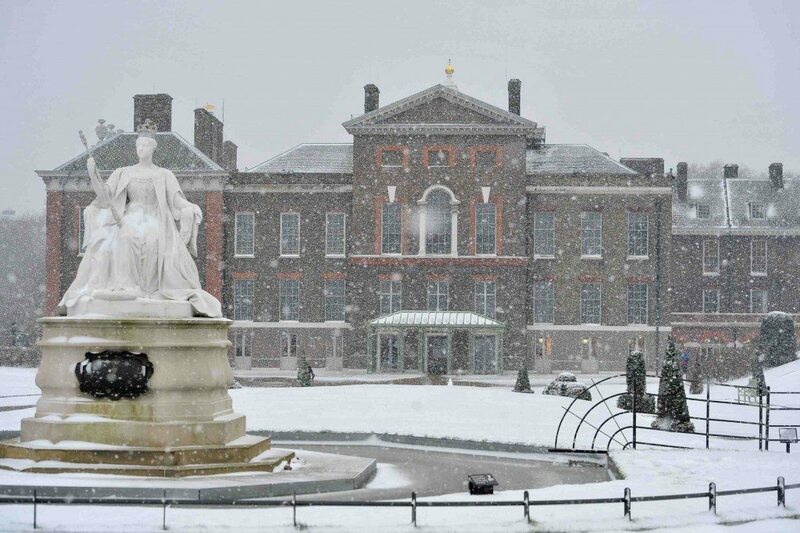 Over at Kensington Palace the focus is on Queen Victoria. From the 2nd December, the palace and gardens will be festooned with traditional ornaments. 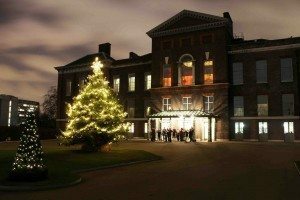 They will host carol singing, talks, special tours (including an intriguing ‘eerie’ one – shiver!) plus seasonal food and drink. The beautifully decorated tables where Victoria and Albert presented Christmas gifts to their children will also be shown just as the queen recorded in her diaries. I’m looking forward to a special display of ‘forced flowers’–reflecting the Victorian fashion for showing off their head gardeners’ expertise by presenting their guests with exotic fruits and flowers in winter. Many of the Christmas traditions we know today started during Victorian times and there was no one fonder of the holiday than Charles Dickens. Charles Dickens House used to be the only museum actually open on Christmas day itself. At last, however, like Ebeneezer Scrooge himself, they have decided to give their Bob Cratchits the day off this year, so if you had planned to visit on the 25th or 26th December, you’ll need to hold fire. What they lose in two days, however, they make up for with jollity the rest of the time. From 1st December until Twelfth Night, the museum will celebrate the most famous Christmas ghost story of them all, A Christmas Carol. When the book was first published in 1843, it sold 6,000 copies in the six days between its release and Christmas Eve. It has never been out of print. 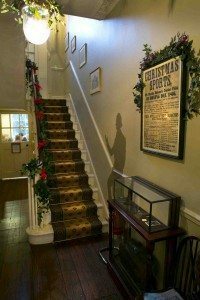 The historic rooms where the author also wrote Great Expectations will be filled with the decorations, sounds and aromas of a 19th Century Christmastide and special candlelit openings will play host to performances and readings of A Christmas Carol. It’s a bit of a London institution, so if you fancy the evening openings do book ahead. Another London Christmas institution takes place at the Geffrye Museum, one of my favorite places in the city. It’s in an old almshouses, so all the basic rooms are identical. This has enabled curators to present that ‘one’ room as it might have looked in every century from the 17th to present day, with the 20th century represented by decades. It’s fabulous any time of year, but at Christmas each room is decorated as it would have been in its appropriate period. 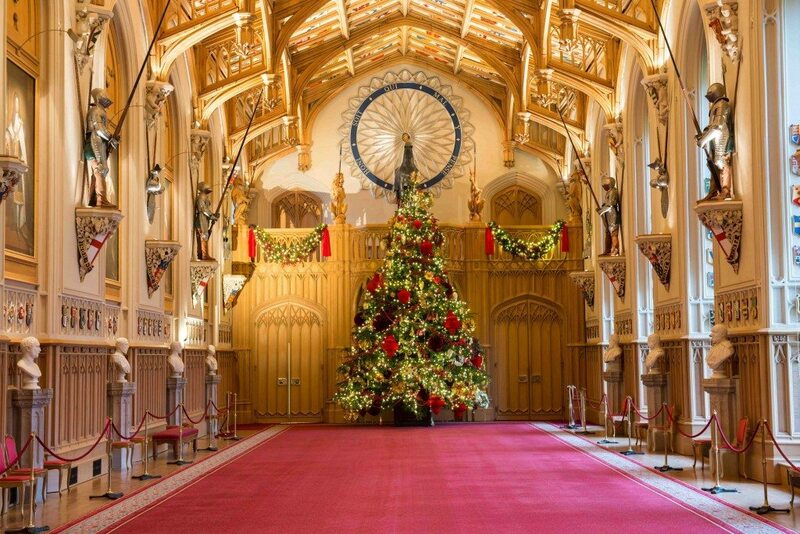 Even in the room set during the Commonwealth, when Christmas was banned by Oliver Cromwell, it’s gorgeous. One of the most traditional sacred events in a British Christmas is the Festival of Nine Lessons and Carols. The original (and most famous) is at King’s College in Cambridge but several Nine Lessons… take place in London Churches too. St Paul’s Cathedral’s version can get very busy and you’ll need a ticket for it, but I am particularly fond of the one at the ancient St Bartholomew the Great. This venerable, 12th Century church in Smithfield drips with history and to see it candlelit for the Nine Lessons festival is truly a sight. It's very popular so there are several Nine Lessons services. It’s free, seasonal and friendly–turn up about half an hour beforehand to get a place. I’ll be going to Nine Lessons... on the 20th December. If you choose that day too, do say hello! St Bartholomew the Great (not to be confused with St Bartholomew the Less, across the square) is at West Smithfield, London EC1A 9DS. Just look for the original Tudor gatehouse and pass through into the churchyard. “As twilight falls, the magic begins,” says the poster, and Christmas at Kew Gardens is not wrong. 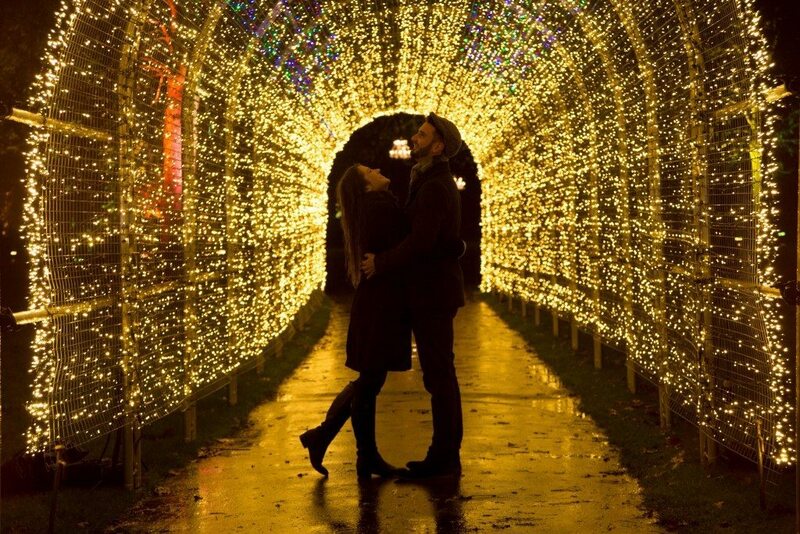 Special walks through the historic gardens are lit by thousands of fairy lights. Lose yourself in the flames of the Festive Fire Garden, the twinkling Tunnel of Lights or even enjoy a sneaky Mistletoe Moment. It’s staggeringly beautiful. And if you find you’re a bit chilly, you can always step inside the Victorian Hothouses to warm up. Kew Gardens is a five minute walk from Kew tube station. Christmas Past runs until Sunday 3rd December. Tickets are sold separately to the daytime entry. A bit of a cheat, really, but Windsor Castle is so close that I tend to consider it ‘honorary London’, especially when there’s something lovely going on there. We’ve had Royal Christmases in town, from Medieval to Elizabethan to Victorian–at Windsor, they’re celebrating a Regency Christmas throughout the State Apartments. 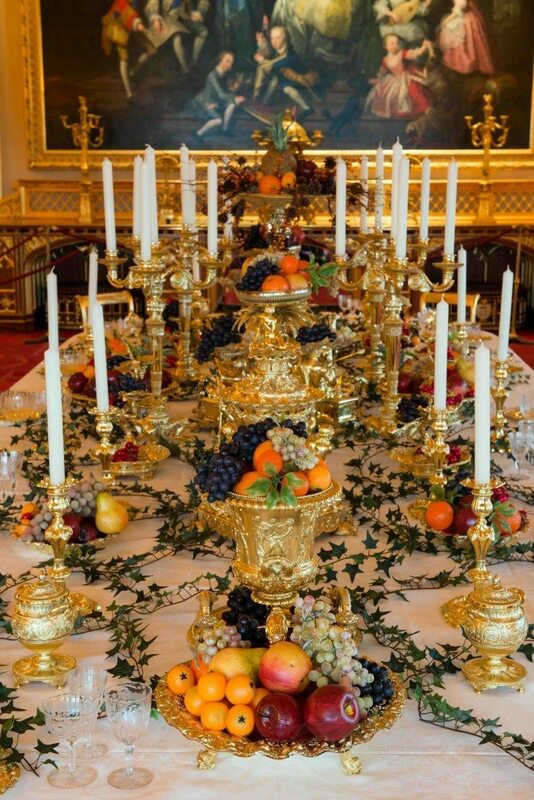 The Prince Regent loved to entertain and pieces from the Grand Dinner Service will be displayed on the gigantic tables. The decorations are Yew (the pine trees we know today didn’t come in until Prince Albert brought them over for Queen Victoria). Queen Charlotte, the Prince's mother, used to decorate her Yew tree with sweetmeats, almonds, raisins, fruits and toys, lit with wax candles. 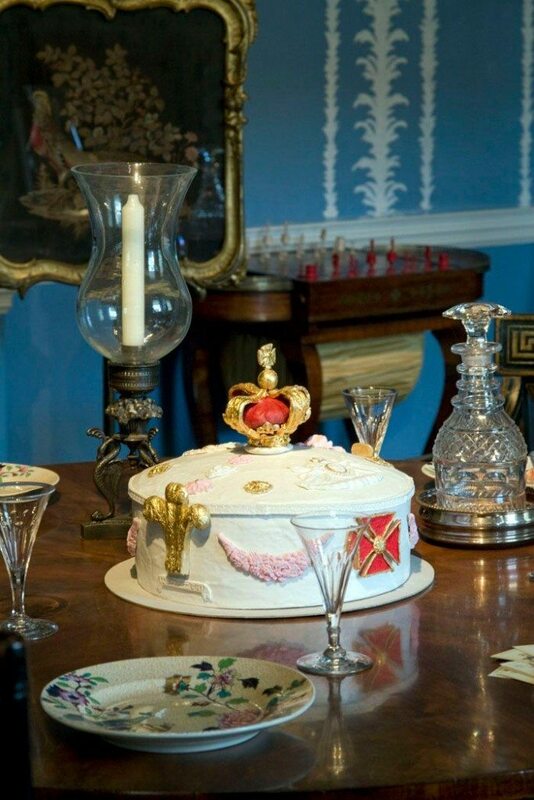 You’ll even be able to see some of the gifts the Royal family exchanged. Windsor Castle is a short walk from the two train stations that come into the town. Choose between a shorter journey with a change–Paddington, via Slough, or a longer journey with no changes from Waterloo. 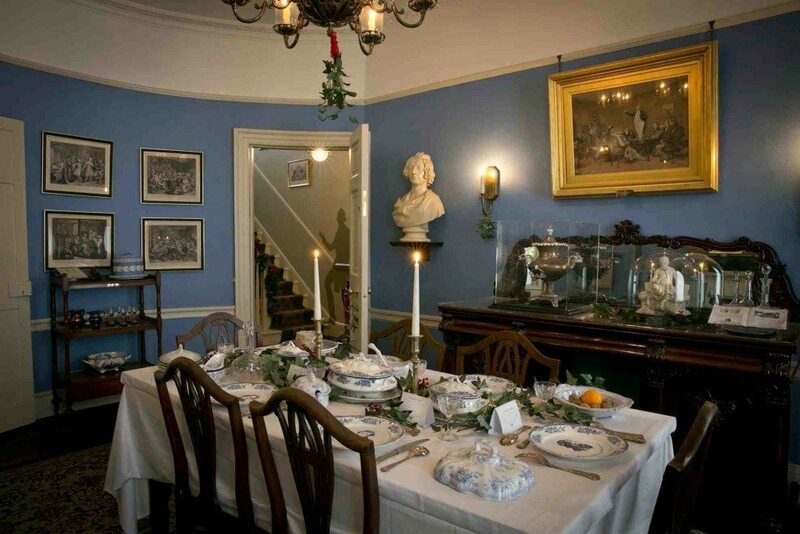 A Regency Christmas is at Windsor Castle, 21 November 2015 – 5 January 2016. If you’re visiting near the end of Christmas, there are two January events I’ll mention here as they’re worth knowing about. 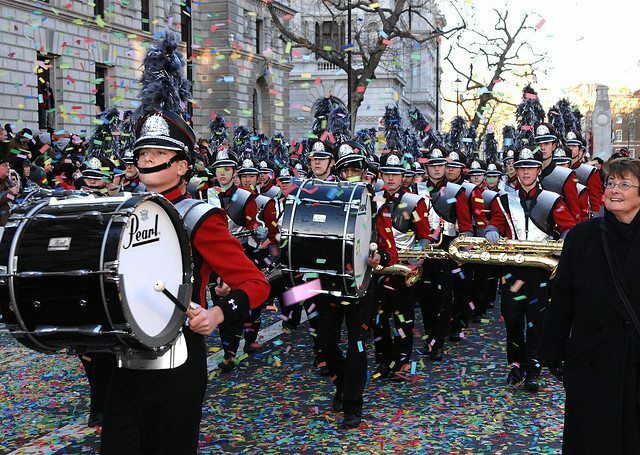 The New Year’s Day Parade sees 8,000 performers from around the world, including many marching bands from American schools, colleges and universities. This year the event is celebrating its 30th birthday. Unlike the Lord Mayor’s procession in November, it is very much a West End event, starting in Piccadilly and finishing in Parliament Square. It’s free to attend and a map of the route can be found here. One other fabulous (and free) event takes London back to its medieval roots. Traditionally, Christmas Day was a rather sober occasion, marked by much church-attending, and it was only the beginning of twelve days of genuine merrymaking. Gifts were exchanged among the gentry on Twelfth Night, but the ordinary folk had a much more rumbustious time. The Lions Part is a theatre company that specialises in recreating traditional events and the climax of its year is the annual Twelfth Night celebrations on South Bank. Crowds gather outside the Globe Theatre, to welcome the Holly Man, as he is rowed up the Thames by the Worshipful Company of Watermen. I always stand on the Millennium Bridge to watch the arrival; it’s less crowded and gives a good view. 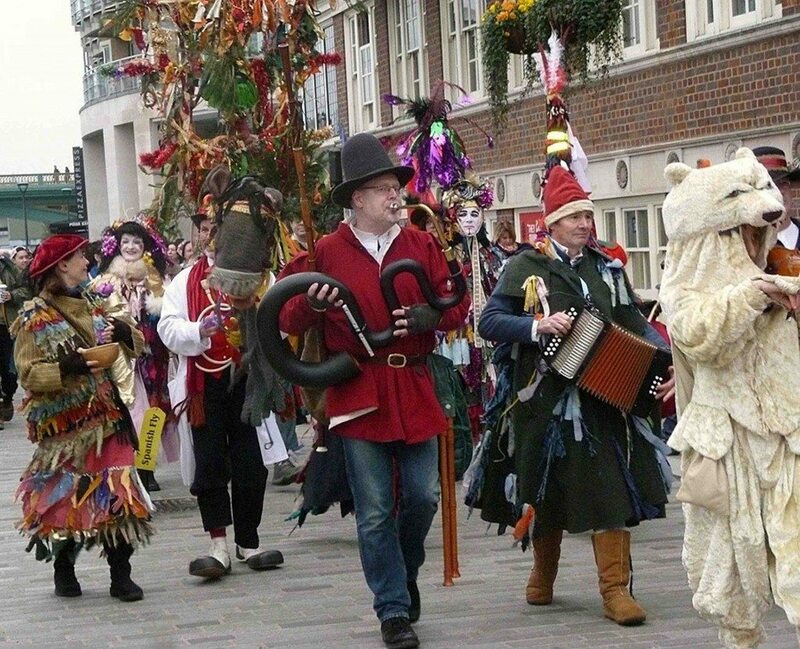 As he steps ashore, he ‘wassails’ everyone and celebrations begin with a traditional mummers play. 'Mummers' were local amateur dramatics, always farces, with lots of topical jokes and silliness. As the afternoon turns to twilight, everyone is given a Twelfth Cake (a bit like a cupcake). Whoever finds a dried bean inside their cake is crowned King or Queen for the day. There is a procession to The George, London’s last remaining galleried inn, where mulled wine is consumed, morris is danced, tales are told around a crackling fire and wishes hung on the Kissing Wishing Tree. I cannot recommend this event highly enough. I go every year, and it’s a fantastic way to mark the end of the old year and the beginning of the new with hope in one’s heart. However and wherever you end up celebrating the festive season I wish you and yours a peaceful, safe, prosperous and, above all, happy holidays!